1.5 cubic foot small carton – This is the smallest box that generally is used for the smallest, but also heaviest items such as: Books, CDs, DVDs, video games, records, canned goods, etc. 3.0 cubic foot medium carton – Although it is a little bigger than the 1.5, the 3.0 foot box serves a similar purpose in that it is designed to hold small but heavy items like toasters, blenders and other kitchen appliances, pots and pans, and outdoor tools. 4.5 cubic foot box – If you’ve got clothes that don’t need to be hung, tablecloths, linens, or kitchen items and toys that can’t be broken, this is the box to use. 6.0 cubic foot large carton – Bulky but lighter items like coats, hoodies, stuffed animals, or pillows go into this bigger, all-purpose box. Mirror carton – These boxes adjust and expand and are perfect for storing mirrors, pictures, small table tops, and other glass products. Multi-layer specialty boxes – Widely considered the safest and strongest of all moving boxes, this is what you would use to hold your china, crystal, glassware, and other breakable dishware. Men on the Move has dish pak cell kits available for purchase, to keep your glasses and dishes divided. 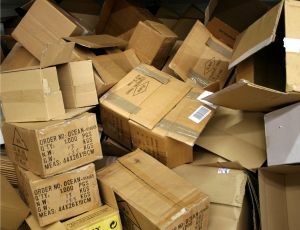 Other Specialized Cartons/Crating – Items of specific shapes and sizes like pole lamps, bicycles, grandfather clocks, big-screen televisions, etc., can go in specially-made crates or cartons that are built to keep extremely fragile pieces intact. Wardrobe Carton – If you have hanging clothes that you want to keep wrinkle-free during the move, this box’s design allows for that. Drapes and curtains folded over hangers store nicely into wardrobe cartons as well. The friendly Michigan Movers at Men on the Move carry boxes of all shapes and sizes, as well as other supplies like packing paper, bubble wrap, paper pads, and more. 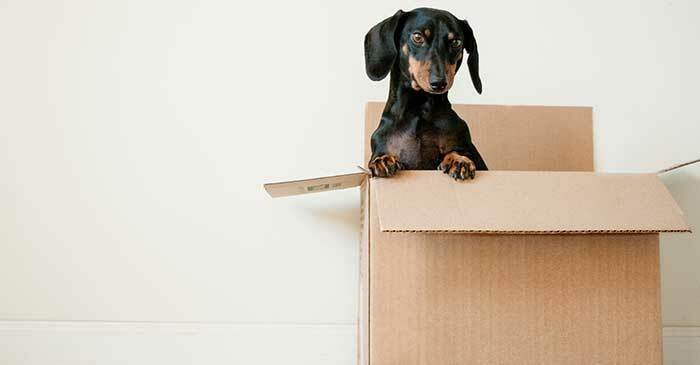 Get with us prior to your move and we can not only help get your items where they need to go, but supply you with the boxes they need to be stored in too! Contact us or fill out a free moving quote today.